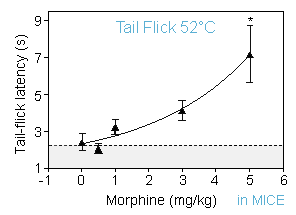 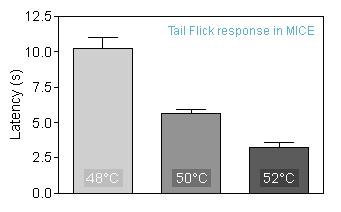 The tail flick test is a thermal hyperalgesia test in which the tail of the animal is subjected to a heat source. 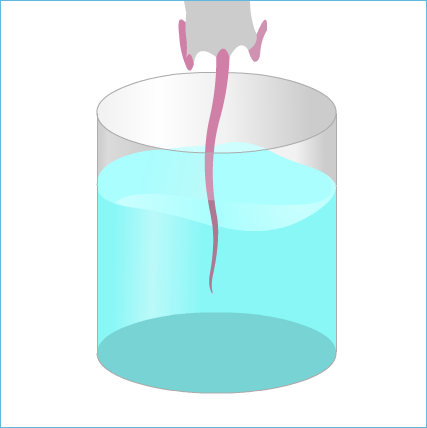 Once the animal feels uncomfortable, he removes spontaneously the tail (“tail flick”). 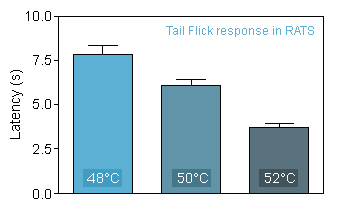 Neurofit implements this test to evaluate the analgesic effect of your compounds. 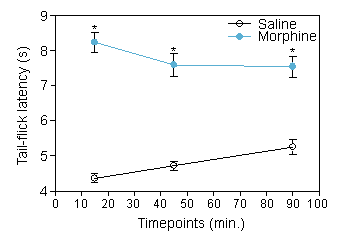 Pain killers are usually tested in this model but other treatments could also be considered. 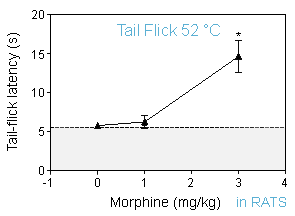 Please feel free to contact us to discuss the feasibility of your study.